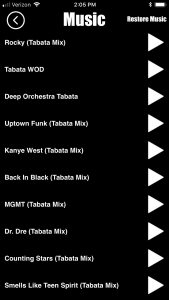 When we started developing our Tabata Songs App, the #1 request from our listeners was that the App be SIMPLE. 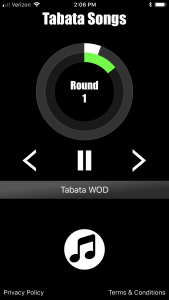 This app, which provides music/audio coaching of Tabata Intervals, while simultaneously providing a visual Tabata Timer, couldn’t be simpler to use. There are only two screens and a few buttons to choose from. 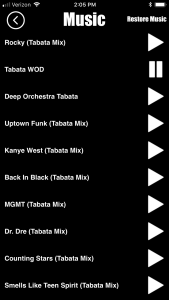 -Press the Play Button next to the the song you’d like to preview. 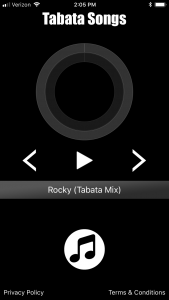 To choose a song to use on the Main Screen, simply touch the Song Title of your choice. You will be directed to the main screen. Now, just press play!